In the past two years, the little town of Riverdale has changed in a number of amazing ways. The entire Archie universe has been given a fresh coat of paint and it's only getting bigger and better from here. Road to Riverdale presents to readers all of the second issues of each of our new series so far, including Archie, Jughead, Betty and Veronica, Josie and the Pussycats and Reggie & Me, timed to the Season One Finale of the brand new CW series Riverdale. This volume also contains a new story based in the show's universe as a bonus for viewers! This graphic novel features riveting stories and dazzling artwork from superstar writers and artists like Mark Waid, Adam Hughes, Marguerite Bennett, Fiona Staples, Chip Zdarsky and much more. 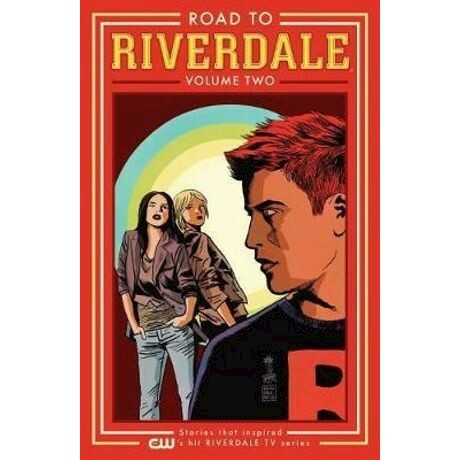 You won't want to miss out on this collection that shines the spotlight on the New Riverdale, and serves as the ultimate guide for both new readers and long-time fans.